1. Select The Relevant Roles and hide the roles which are not relevant this purpose to prevent wrong selectionos by the user. 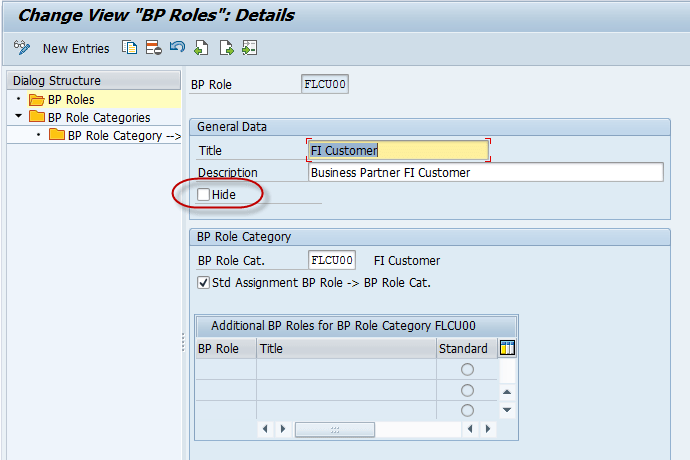 SPRO -> Cross Application Components -> SAP Business Partner -> Business Partner -> Basic Settings -> Business Partner Roless -> Define BP Roles. Activate or check the box ( Hide ) to hide this role, so a user can select right roles. SPRO -> Cross Application Components -> SAP Business Partner -> Business Partner -> Basic Settings -> Number Ranges and Groupings -> Define Number Ranges. You need to configure your business partner number range, based on your business requirement. After you define number range, you need to define Groupings and Assign Number Ranges through this SPRO Path menu. SPRO -> Cross Application Components -> SAP Business Partner -> Business Partner -> Basic Settings -> Number Ranges and Groupings -> Define Groupings and Assign Number Ranges. You can set number range for customer via tcode XDN1. You can set number range for vendor via tcode XKN1. In this IMG activity you can display synchronization objects provided by by for the master data synchronization and, if necessary, create your own synchronization objects. However, you can mainly use this IMG activity as a system administrator, to get detailed information on the synchronization objects provided by SAP. Important detailed information would be the extractor class for the synchronization object, if the object is used as a source object within a synchronization process and the block size is used for background processing of the mass synchronization in the context of an initial synchronization. 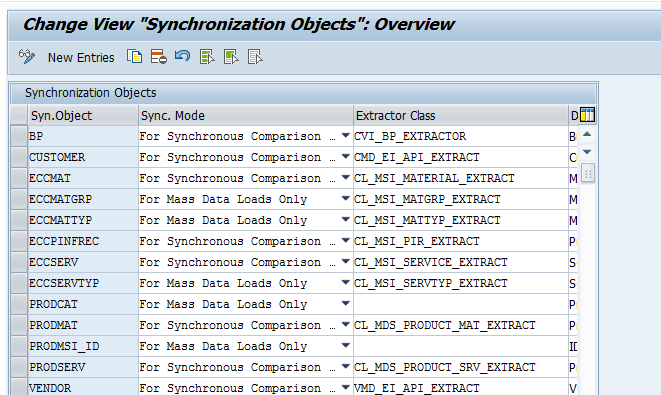 SPRO -> Cross Application Components -> Master Data Synchronization -> Synchronization Control -> Synchronization -> Synchronization Control -> Synchronization Objects.